Apple has a reputation for safety. However, as phones get more and more sophisticated, the opportunity to pick over phones becomes more and more irresistible for those with bad intentions. Android phones are at risk, and increasingly, Apple’s safety reputation is being proven to be nothing more than smoke and mirrors, created thanks to little to no market share. 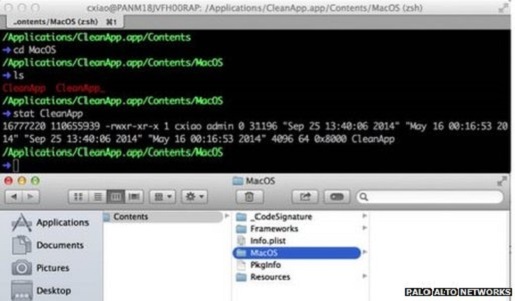 The more popular Apple gets, the more malware is targeted at iOS and OSX users. See also, China, one of Apple’s biggest growth areas. China is currently being hit by an outbreak of malware aimed at iPhones, Macs, and iPads. The problem hits when users sync their phones up to their devices or download third-party apps. The malware then connects with a command-and-control server somewhere, and can even update its own code or install other apps–like video games–onto phones and pads. It can even take phone numbers and user Apple IDs for more information shuffling. Of course, the problem is mostly in China, and mostly on machines where people have been downloading third-party apps from outside the iStore, but it’s spreading to non-jailbroken devices by connecting phones to charging cables on strange computers. Here’s Palo Alto Networks’ full report on WireLurker.